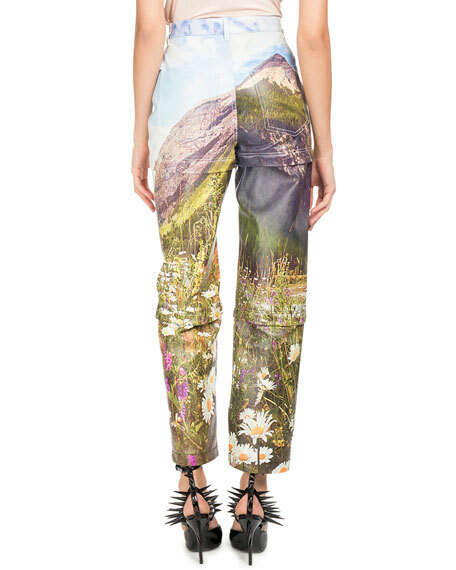 Balenciaga pants in calf leather with mountain-print. Tri-panel design zips-off into capris or shorts. For in-store inquiries, use sku #2490233. AG "Everett" fit pants in stretch-twill. Five-pocket style; signature stitching at back pockets. Leather logo patch at back waist. Skinny fit; tapered legs. Button/zip fly; belt loops. Cotton/polyurethane. Imported. 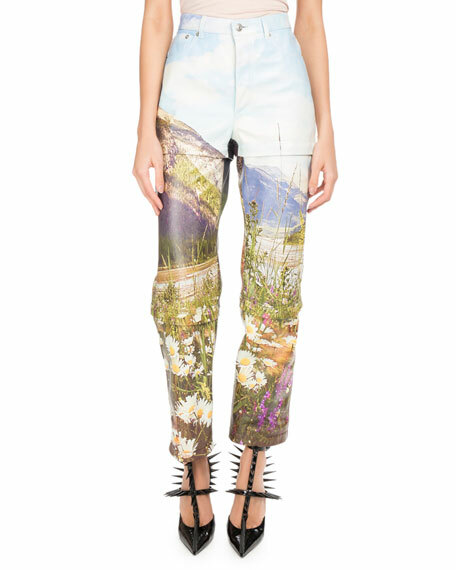 Akris pants in napa suede with leather patchwork. Mid-rise; belt loops. Flat hook-zip fly. Side zip pockets. Back patch pockets. Fitted through conical legs. 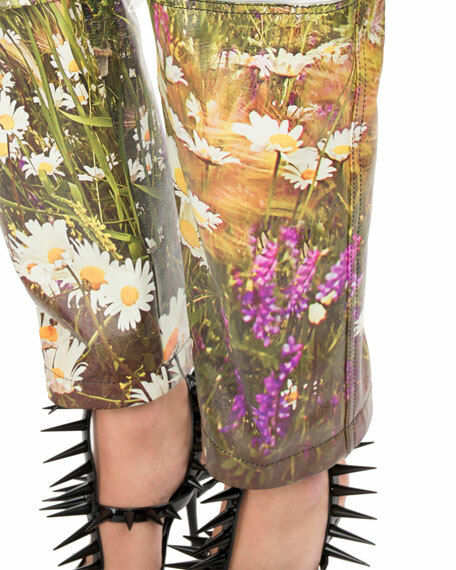 Cuffed hem. Lining, viscose. Imported. 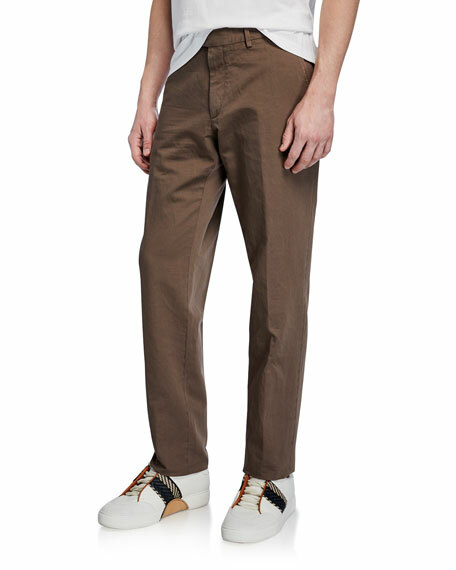 Ermenegildo Zegna trousers in solid linen-blend. 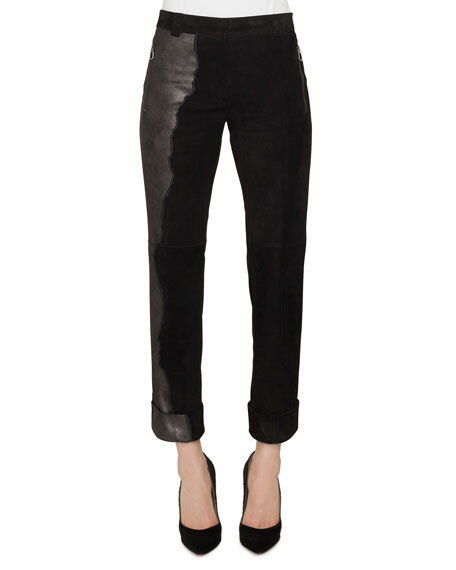 Side slash pockets; back button-welt pockets. Flat front. Straight legs slightly taper at ankles. Button/zip fly; belt loops. Cotton/linen. Modal/cotton/polyester lining. Leather trim. Made in Italy. Exclusively ours. 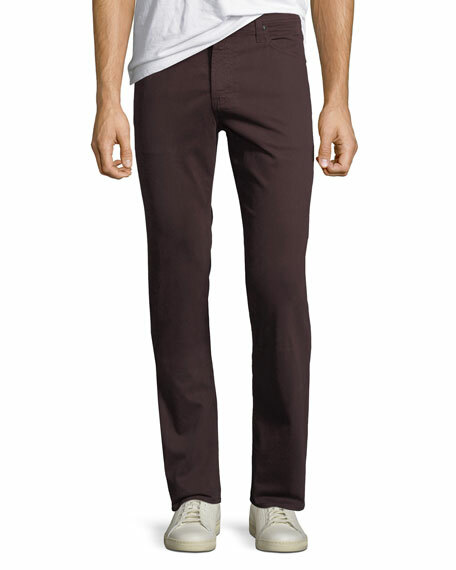 Incotex "Ray" lightweight cotton-blend pants. Five-pocket style. Standard fit features flat front, normal rise, and straight leg. Leather logo patch at back waist. Approx. 19.5cm leg opening. Button/zip front; belt loops. Cotton/linen/spandex. Made in Italy.